Book 3 of New York Times Bestselling Author SM Reine's urban fantasy thriller series. 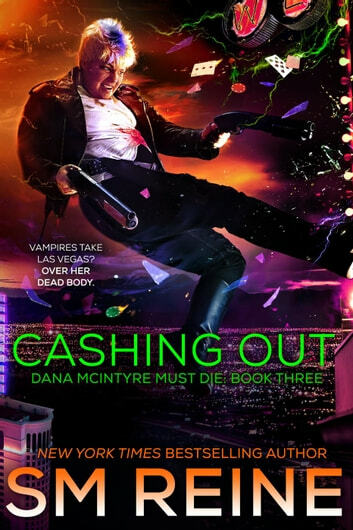 With the previous master vampire out of the way, and Dana McIntyre presumed dead, there's nothing standing between Nissa Royal and her vision for Las Vegas: a city of vampires where humans serve as no more than cattle. Police Chief Charmaine Villanueva is losing control of her city to the Office of Preternatural Affairs. She hopes to appease them with a preliminary cure for vampirism--her last shot at reassuring them that she can keep her citizens safe. Except someone has broken into Holy Nights Cathedral to steal the Garlic Shot, even though the church should be impossible to burgle. She can only think of one person with the ability to steal from the cathedral. But Dana McIntyre's been dead for hours. Hasn't she? 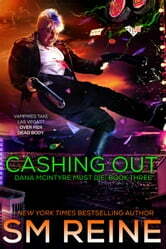 Torn between OPA control and vampire control, Las Vegas is a city on the brink of war missing its guardian angel. It's a high stakes game with no limit. But the house isn't letting any of its players cash out yet...not when the game is just getting hot. Just finished Cashing Out and have to say Oh My Gods! It was phenomenal and could not put it down. Dana is so bad a**. I love her but Nissa has so stepped up her game. We finally get to see the end of the Fremont Slasher but a new more evil leader is taking his place. It is nice to see an old character appear. I hope we see more of him. As always there is a ton of action in this book and lots of adventure. Fast Paced and Kickass from start to finish. Awesome fast paced with all the Good Bad and Ugly/Pretty come out to play. Dana has new found skills that she is learning to use aganist the Vampires she hates even if those skills come with becoming a full Vampire herself. there is twists and turns throughout this book. Don't want to give to much away but this is a must read as more characters from the past show themselves.